Most of the attention in the seniors housing market has been on assisted living and memory care, but CCRCs and independent living retirement communities have existed for a longer time and, post Great Recession, have performed remarkably well. Occupancy has been high and the sector has not seen the new development boom that other markets saw. Many investors and lenders became more comfortable with need-driven alternatives such as assisted living and memory care, but residents continue to flock to independent living and CCRCs. Values have been high and investor demand growing. How to value a CCRC. Whether buyers prefer stand-alone IL or with memory care and assisted living. Who is buying CCRCs and why. Why IL buyers are not buying CCRCs. Where cap rates are trending and why. What is happening in the development market for IL and CCRCs. Whether they will suffer in the next recession as much as the last one. PLUS… your chance to ask our panel of experts any questions about CCRCs and Independent Living. This educational offering is pending approval for 1.50 credit hours by the National Association of Long Term Care Administrator Boards (NAB). 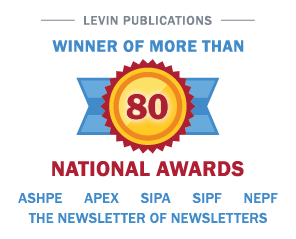 Upon webinar approval and enrollee’s successful completion of the test, Irving Levin Associates, Inc. will issue a NAB certificate of completion for students to issue to their state licensure boards.